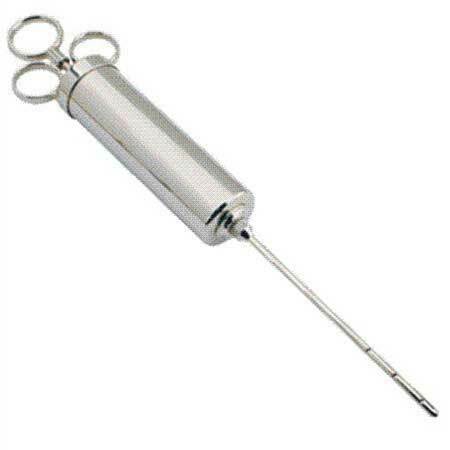 For injecting meats, poultry, fish, and wild game. Easily add moisture and flavor to meats in minutes. 3 inch needle with holes on opposite sides to maximize marinade distribution. Nickle plated. 4 ounce capacity.